In this edition of Teacher Feature Friday, we are thrilled to introduce you to instructor AND newest WERQ Rep, Monica Sanders! Team Pop, Rock, or Hip Hop? I think I have to go with Hip Hop, but I also love the Rock songs! 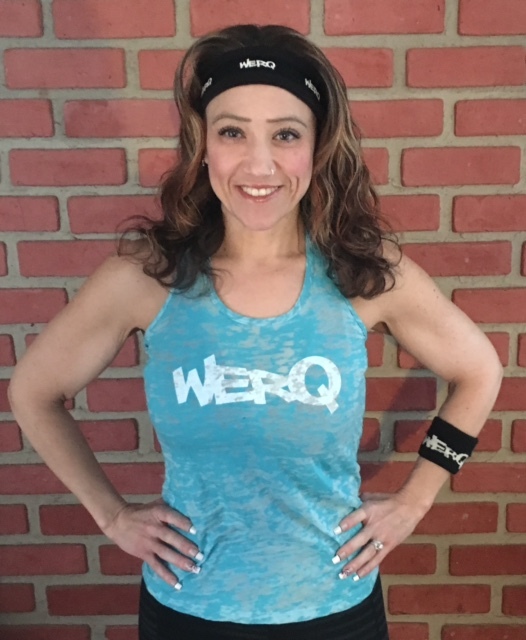 How did you find WERQ/decide to become a WERQ Instructor? I knew from the minute Haley told me about her idea to start this fabulous format that I wanted to be a part of it once it was up and running. 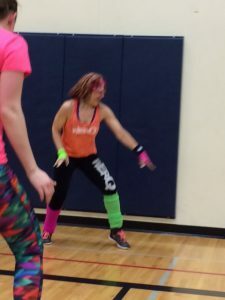 I experienced a little taste of it with a few songs at a Halloween fitness party in October 2010, and was excited about it, so when the first training was held a few months later in Michigan, of course I went! What is your favorite thing about teaching WERQ? Can I say EVERYTHING?! (Because there’s nothing I don’t love) If I had to pick one thing it would be the progress I see in my students. Everyone starts somewhere, and not necessarily from the same place. 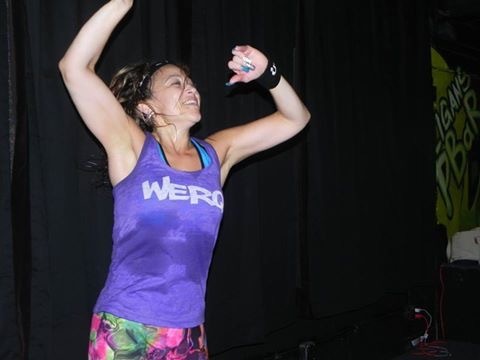 But no matter where they were in their fitness journey when they first set foot in my class, I see progress being made – whether it’s endurance, strength, flexibility, dance-ability, weight loss, or even confidence. What can participants expect from your class? They can expect to come into a welcoming class full of fun, high-energy routines, lots of laughter, hootin’ & hollerin’ (my classes are loud! ), tons of sweat, and also a great place to make new friends. Many of my participants have formed great friendships outside of class, as they’ve gotten to know their spot neighbors. Those needing modifications will always see modifications for the higher-intensity moves, and those that want to rock it out to the max always do so. What is your ALL TIME favorite WERQ routine and why? Titanium. Hands down. I have many others high on my list of favorites, but Titanium is, and probably always will be, my favorite. Not only is it a high-intensity routine with great choreo, but the song came at a time of some transition in my life, so this one is very special to me. 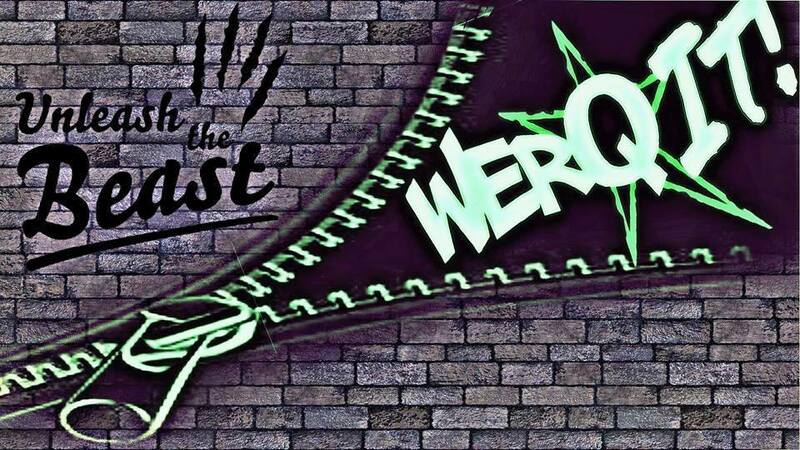 WERQ has been an incredible addition to my life – I cannot say enough about the format. It’s fun, fresh, challenging, and I am absolutely so proud to be a part of it. Congratulations on becoming a WERQ Rep, Monica. Welcome to the team!